Two and A Half Men. . HD Wallpaper and background images in the Two and A Half Men club tagged: two and a half men hq charlie sheen angus t. jones jon cryer conchata ferrell. 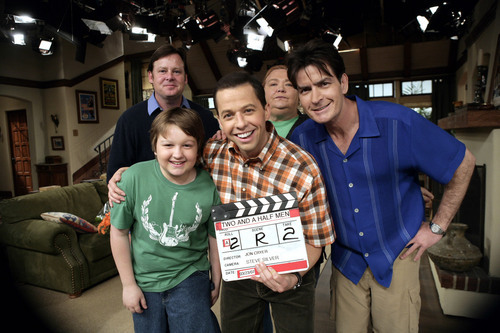 This Two and A Half Men photo contains tanda, poster, teks, papan hitam, and chalkboard. There might also be jalan, tempat kejadian bandar, tetapan bandar, menetapkan, bandar tempat kejadian jalan perbandaran, bandar, pakaian riadah, pakaian luar, overclothes, and outerwear.